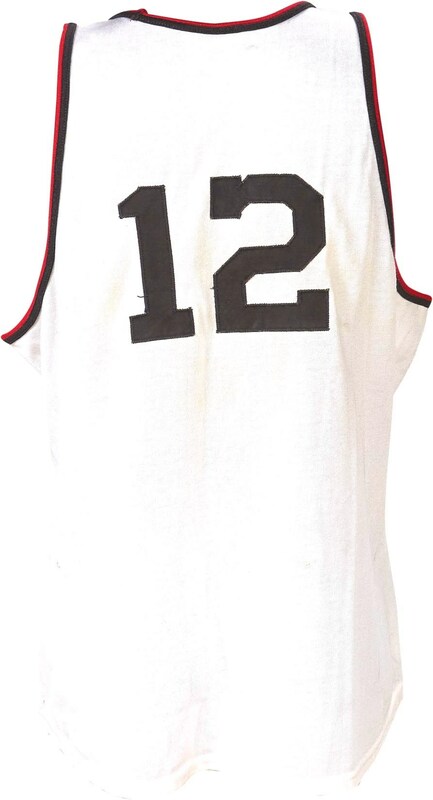 This is quite simply one of the finest and most important college basketball jerseys ever offered for sale, as it was once worn by the legendary Oscar Robertson, one of the most prolific players in college basketball history. The white, home jersey is a 10/10 as far as we are concerned; it shows fine use but is still in great shape. The Big O was truly a force throughout his tenure at the University of Cincinnati. In three years of collegiate play, he led the NCAA in scoring, was named an All-American, and was chosen Player of the Year. He left school as the NCAA's all-time leading scorer, but was surpassed a decade later by Pete Maravich. Robertson's extraordinary talent nearly single-handedly catapulted the Bearcats to national prominence, with the team making two trips to the Final Four during his time there. In honor of his exploits, the USBWA renamed its College Player of the Year Award, of which Robertson was the first recipient, the Oscar Robertson Trophy in 1998. 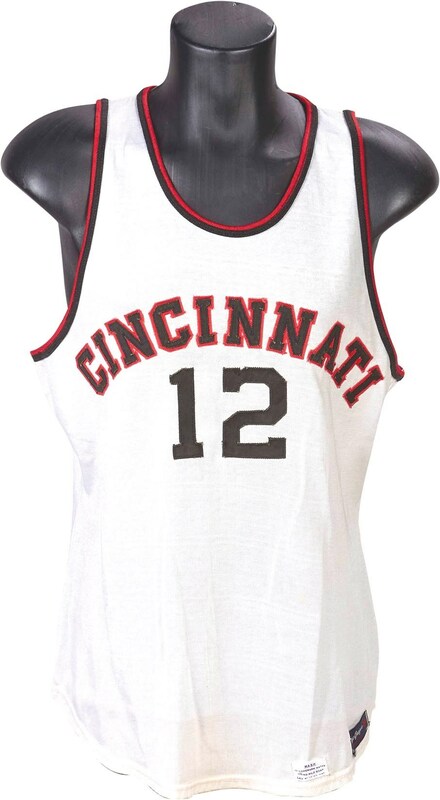 The classic Bearcats jersey has the school's typical black and red accents, with "CINCINNATI" on the front and below the number "12," which also appears on the back. There is a MacGregor size 44 tag and washing instructions at the bottom of the front tail. You will not find a finer college jersey, or one with more historical importance, than the one offered here.